4" x 6" Clear Zipper Top Bags in bulk. 2.0 mil. Material used in this product complies with FDA regulations for food packaging. 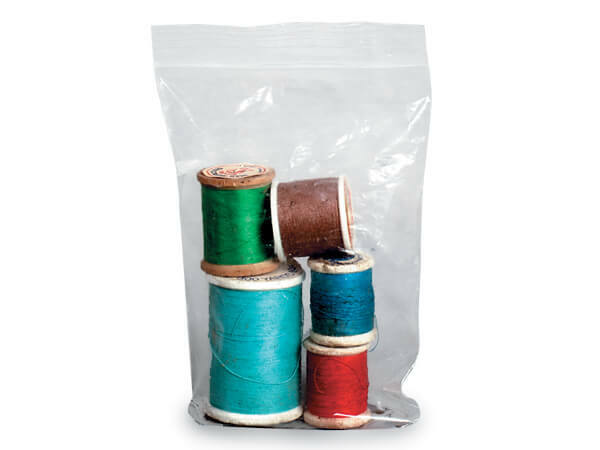 Zip Top Poly Plastic Bags are Re-sealable - Refillable - Reusable. Made from 2.0 mil low density polyethylene. Economical Zip Top Bags are great for displaying and protecting your products including food, jewelry, candy -- just about anything! Complies with FDA regulations for food packaging.